Earlier this week, I unveiled our reader&apos;s most popular stories on the Hendricks County Insider blog in 2016 based on total views, but I wanted to take a different approach today by sharing some of my favorites while giving you a glimpse of what makes the Hendricks County Insider blog special and why you should consider a free subscription in 2017 if you aren&apos;t already a subscriber. These 10 stories should give you a great cross-section of the service this blog provides to our visitors and locals. If you are a regular reader or a first-time visitor interested in what makes Hendricks County so special, I would encourage you to follow the links below and read or reread each story that I&apos;ve listed in chronological order. You just might discover something new or find a reason why you should visit us in 2017. Top 10: Things to Know About Hendricks County - One of our local insiders, Eric Ivie, had a great idea that we tackled during our "slow" months of January and February. We had never really chronicled what makes our county so special, so he provided a great overview of our destination. Some of the other bloggers also pitched in following this post with more specific posts about each geographic section of our county including Avon, Brownsburg, Danville, Mill Creek, Northwest Hendricks and Plainfield. Danville&apos;s Court House Grounds Renovated, Adds Dinner Hours - I challenge our bloggers each year to be local insiders where we live including a detailed, updated post of every locally owned dining establishment in our county. We tend to do a "restaurant review" at least once a month. 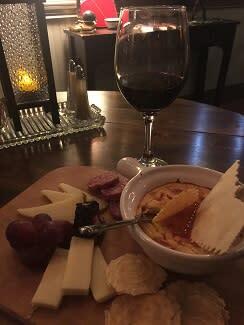 Court House Grounds was one of a handful of restaurants that we hadn&apos;t reviewed in a few years, so Stephanie Porter provided a great example of the local insight you can only get on this blog. Who North America Opens in Hendricks County - It isn&apos;t often that a new attraction that garners international attention lands in our county. When that happens and the writer profiling that new attraction is a true fan, we have blogging magic. Find out why you need to visit Who North America as soon as possible. Top Running/Walking Trails in Indiana - If you are a walker, runner, hiker or simply a fitness enthusiast, this is a must read. Our local expert Beth Fife did a masterful job of detailing our county&apos;s best paths. Best Spots for Breakfast in Hendricks County - We have determined over the years that one commonality our readers share is a love of food. So, we do what we can to provide the kind of insider knowledge you need when making a decision on where to fill your stomach. A great example was this piece by Crystal Paschal detailing her favorite locally owned, early morning hot spots. 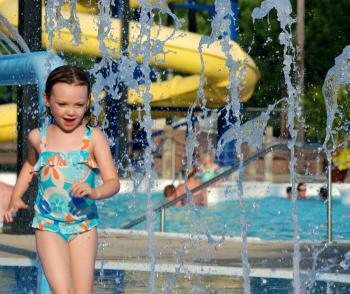 Where to Make a Splash This Summer in Hendricks County - As winter fades and the warmer weather has us itching to be outside, we become the go-to information resource for summer fun activities. It was hard to choose just one summer fun story as I also loved a story we publlished about Free Summer Fun in Hendricks County. But my personal favorite had to be Meghan Stritar&apos;s take on every place you can get wet in Hendricks County that was so concise, it even included insider tips for every location. 5 Reasons to Visit Hendricks County Farmers Markets This Summer - If you are new to the Midwest, you may not know just how popular farmers markets tend to be in the summer. Kelly Wallace couldn&apos;t have provided a better overview of our farmers markets where you can experience an authentic slice of Americana. A Groom&apos;s Perspective: Preparing for the Big Day - One service that we at Visit Hendricks County provide that often gets lost in translation is our activity in the local wedding scene. Hendricks County has become an under-the-radar location for wedding services especially barn weddings in recent years. Find out from a local groom&apos;s perspective why you should consider Hendricks County if you are planning to get married soon and how we can help. 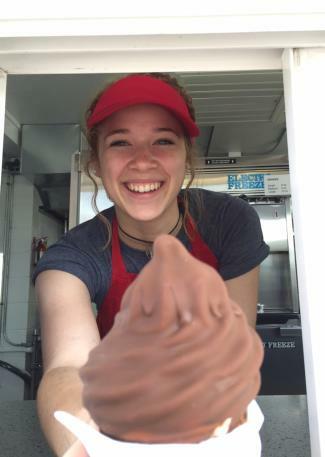 Local Hidden Gem: Lizton Dairy Bar - It isn&apos;t often that we get to provide insider information about a hidden gem that many locals don&apos;t even know about. But that is exactly what Beth Fife did in profiling what makes the small-town Lizton Dairy Bar such an iconic local landmark. Hendricks County Artist Makes Amazing Cold Hard Art - Quite possibly one of my favorite stories of the year because of the uniqueness of the art and how it merges two underrated aspects of our destination -- our arts and culture and motorsports offerings. If you haven&apos;t read about this local artist, take a look. I think you will be floored by his talent. So there you have it. My picks for the best of 2016. I hope you are as excited as me about what 2017 holds.